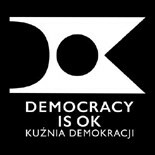 Saturday 27 February the Committee for the Defence of Democracy (KOD) are planning a “We, The People” march in Warsaw. The protest movement was formed in the wake of the Polish parliamentary elections in October 2015, when the rightwing Law and Justice (PiS) party became the first party in post-communist Poland to control an absolute majority of the seats in the Polish parliament and the presidency at the same time. This entry was posted on 26 lutego 2016 by D.ok in angielski.